It’s been six long years since Fleet Foxes released their last album, Helplessness Blues, in 2011. But today the band returned in a big way, announcing a new album, Crack-Up, due out June 16, as well as an international tour that will take the band from Australia to Colorado over the course of five months. The press release announcing the album makes no mention of a replacement for former Fleet Foxes drummer Josh Tillman, who is currently off doing his own thing as Father John Misty. 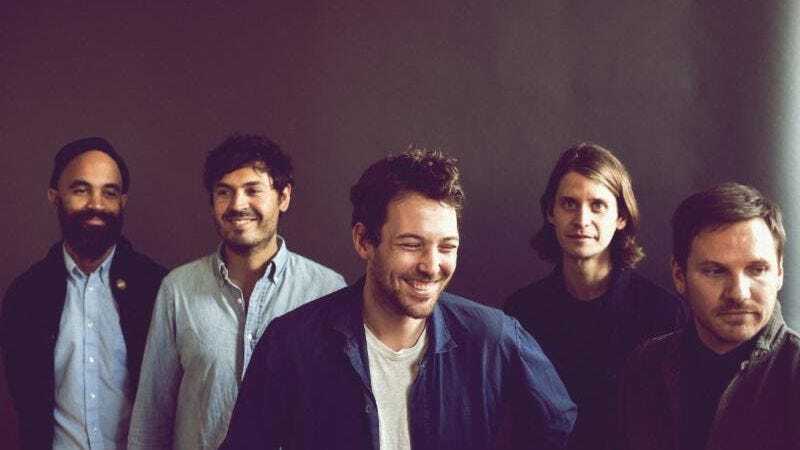 Instead, it lists founding members Robin Pecknold, Skyler Skjelset, and Casey Wescott—along with Christian Wargo, who joined the band in 2008, and Morgan Henderson, who joined in 2010—as the core five-piece of the band. Three drummers (including Joanna Newsom’s go-to Neal Morgan), played on the album, and additional musicians will be on hand for live shows, as Pecknold explained on Instagram. Pecknold wrote all 11 songs on Crack-Up, which was produced by his “longtime bandmate, collaborator, and childhood friend” Skjelset; the first single from the album, the sprawling eight-and-a-half minute melody “Third of May / Ōdaigahara,” certainly sounds like a Pecknold composition, with its winding harmonies and soaring vocals over piano, 12-string guitar, and a goddamn string quartet.